As laptops and notebooks revolutionised portable computing, the iPad is actually doing that once again. It has changed the way how we access the internet, read e-books, watch movies, read comics, play games and even work. That's right, the iPad has a wealth of apps available which do just that. From word processing to spreadsheets and even presentations, is there nothing that this device can do? The virtual keyboard on the iPad works well, although it dramatically reduces the amount of words that you can type. Needless to say, it will never replace a keyboard but this is where the iPad Keyboard Dock comes into the picture. 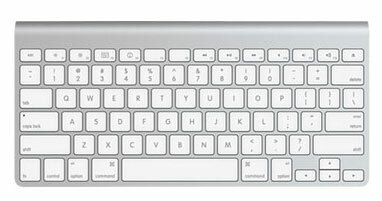 The keyboard itself is a replica Mac keyboard, although of smaller size but allows you to type on your iPad like a real keyboard. My touch typing has finally come to the iPad and I must admit that this is easily one of the better keyboard that we have reviewed. Apart from typing, it even allows you to access a variety of iPad features that which have been neatly created as 13 function buttons on the top of the keyboard. 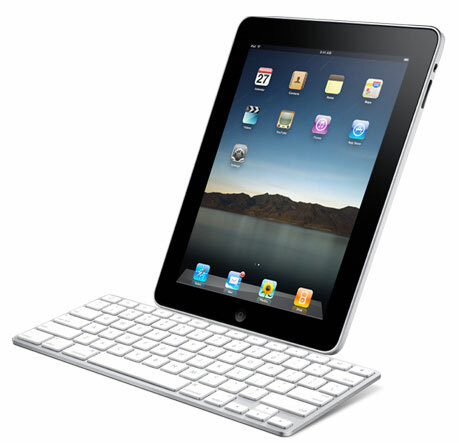 To use the iPad Keyboard dock, all you do is place the iPad onto the keyboard dock and presto, it's like a mini Mac! There is even a dock connector port which allows it to be connected to your Mac/PC or power so you never need to worry about running out of battery life. There is even a line out port which allows you to connect the iPad Keyboard Dock to external speakers for that almost true notebook experience. In conclusion, the iPad Keyboard dock is perfect for those who wish to transcend that thin line between macbook/notebook and iPad. The keyboard definitely improves typing on your iPad but in terms of portability, it does create additional items to carry. In terms of quality, the keyboard is very impressive and lives up to the expectations of Apple. For me, this is probably not a requirement but depending on what you do on your iPad, this accessory may be the perfect thing to take your iPad to the next level!